Pranic Healing is a powerful and effective energy healing system developed by Master Choa Kuk Sui. This method utilizes the life-force: Prana to balance, harmonize, and transform the body\'s vital energy processes to maintain the state of good health. 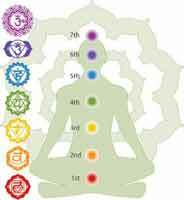 In ancient times, Pranic Healing was practised by an elite few. With his development, Master Choa has made it possible for anyone to practise this wonderful empowering method in a very short time, so that one can remain in a state of good health or cure oneself of many ailments. It is a no-touch energy healing system and is based on the fundamental principle that the body is a self-repairing living entity that possesses the innate ability to heal itself. It works on the principle that the healing process is accelerated by increasing the life force or vital energy on the affected part of the physical body. Pranic healing acts on the bio-electromagnetic field known as the aura, or energy field that surrounds and interpenetrates the physical body. This energy body absorbs life energy and distributes it throughout the physical body, to the muscles, organs, glands, etc. Physical ailments first appear as energetic disruptions in the aura before manifesting as problems in the physical body, hence Pranic Healing acts on the aura. In general, the body is capable of healing itself. If a person has a wound or burn, the body will heal itself and recover within a few days to a week. In other words, even if you do not apply antibiotic on the wound or burn, the body will repair or heal itself. Although, there is no medicine available for the treatment of viral infection, if a person has cough or cold due to viral infection, the body will recover generally in one or two weeks without medication. For life to exist, the body must have prana, ch'i or life energy. The healing process can be accelerated by increasing life energy on the affected part(s) and on the entire body. In pranic healing, prana or life energy serves as the catalyst to accelerate the rate of biochemical reactions involved in the natural healing process of the body. When pranic energy is applied to the affected part of the body, the rate of recovery or healing increases tremendously.